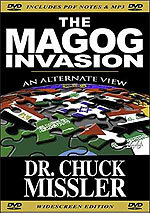 Subtitle: Russia, the prophesied leader of the "Gog-Magog" armies marching against Israel in Ezekiel 38-39, is suddenly on the ascendancy in world and Middle Eastern affairs. 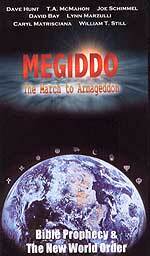 Russia is assembling the key nations prophesied to march with her. You will be shocked to see how quickly Russia is gaining credibility in the very part of the world from which her allies will come when Russia assembles her coalition forces to march against Israel. You will also see how God is setting the stage for the fulfillment of the wars of Joel 3! At the same time America is said to be stretched too thin around the world, and possibly unable to successfully defend her interests in any area of the globe other than the Middle East, Russia is strutting her feathers throughout the world. President Putin is acting much like a Peacock, strutting its tail feathers for the entire world to see. What is behind this sudden diplomatic resurgence? As we get started, we need to state one obvious fact. Since Russia is now the #1 exporter of oil in the world, the run-up in crude oil prices for the past 20 years has benefited Russia greatly! Russia has gone from a country nearly broke to a country flush with cash -- oil cash. In fact, Moody's rating service recently granted Russia "investment grade status", which means that investors can commit resources to Russian projects with greater stability than ever before. "Moody's, the international rating agency, last week upgraded Russia's long-term foreign currency rating from Baa3 to Baa2 with a stable outlook, in an expected move. The decision takes the Russian sovereign two notches into investment grade. Moody's was the first major rating agency to grant Russia an investment grade status (Baa3) in October 2003. In late 2004, it followed this with switching the outlook on the rating to positive ... The oil producer's increasing export revenues have resulted in dramatically improved financial liquidity, while debt repayments—even ahead of schedule—have led to considerable and rapid strengthening of debt ratios. Furthermore, the agency commends Russia's prudent fiscal policies and stable politics." Surprisingly, the dramatic increase in crude oil costs since the attacks of 9/11 have strengthened America's enemies greatly: Russia, China, Iran, and Venezuela. Russia's President Putin is here commended by Moody's for the prudent manner in which he has managed the dramatically increased oil revenues. Russia has greatly benefited financially from the rising oil prices these past 20 years. Some observers even believe that Russia may soon regain superpower status because of her good liquidity. With this solid financial foundation, Russia can again afford to look internationally, and to project her power overseas. For the purposes of this study, we shall be focusing on the dramatic increase in Russia's diplomacy and in her standing in the Middle East -- the particular area in which she is prophesied to play such an important role in End Times events. As we study what Russia is doing, it becomes obvious to us that Russia is delivering cutting-edge weaponry and developing diplomatic relations with precisely the countries which Ezekiel 38-39 foretell will march with Russia against Israel. Today, let us examine the sudden surge of boldness which Russia is exhibiting throughout the world. It seems that Russia is literally thumbing her nose at the United States, daring her to do anything about Russia's increased power and authority in the world. "Moscow and Beijing have teamed up and appear determined to send a message to the White House, singly and together, which translated could mean, 'Don’t mess with us' and Stay clear of our allies'.The two countries are currently playing war games together with Uzbekistan, Tajikistan, Kazakhstan and Kyrgyzstan, all members of the Shanghai Cooperation Organization (SCO), considered a buffer to US oil and gas ambitions in the Caspian. The SCO claims its mission is counterterrorist but while Iran, India, Pakistan and Mongolia have been invited to attend an associated Aug. 16 summit, the US has been rebuffed." "WASHINGTON — Sapped by nearly six years of war, the Army has nearly exhausted its fighting force and its options if the Bush administration decides to extend the Iraq buildup beyond next spring. The Army's 38 available combat units are deployed, just returning home or already tapped to go to Iraq, Afghanistan or elsewhere, leaving no fresh troops to replace five extra brigades that President Bush sent to Baghdad this year ... For a war-fatigued nation and a Congress bent on bringing troops home, none of those is desirable." As the British are pulling out of the southern area of Iraq, of which Basra is the main city, these over-stretched American soldiers may be asked to shoulder a burden unanticipated only months ago -- to guard the southern area bordering on Iran and to secure the north-south communication lines for the time when American troops begin to withdraw to secure bases in Kuwait. "The Bush administration is becoming increasingly concerned about the impact of an imminent British withdrawal from southern Iraq and would prefer UK troops to remain for another year or two ... The Bush administration - focused on the north, west and central Iraq ... however, it is beginning to pay attention to the region, amid the realisation that what has been portrayed as a success story is turning sour. The UK government no longer claims Basra is a success but denies it is a failure, with British troops forced to abandon Basra city for the shelter of the airport." Can you imagine this turn of events? The highly-touted British force which participated in the American-led invasion of March 20, 2003, and which assumed full control over the southern area, have now retreated and are "holed up" in the Basra airport! Is now the time for the insurgency to start hitting the beleaguered British garrison with volleys of rockets and tactical missiles? Now, can you see why one observer lamented that the British are going to have to "fight their way out of Iraq"? Meanwhile, the Kurdish north is increasingly a problem for the Americans. Not only do the Turks still have their 200,000 soldiers near the border, from whence they could invade in a hurry, but the Iranians are also getting involved in the action from their side of the border. Note from this report, below, that Iran has recently moved thousands of soldiers to the border area. "Iraqi Kurdish officials expressed deepening concern yesterday at an upsurge in fierce clashes between Kurdish guerrillas and Iranian forces in the remote border area of north-east Iraq, where Tehran has recently deployed thousands of Revolutionary Guards ... four days of intermittent shelling by Iranian forces had hit mountain villages high up on the Iraqi side of the border, wounding two women, destroying livestock and property, and displacing about 1,000 people from their homes. Mr Yawer said there had also been intense fighting on the Iraqi border between Iranian forces and guerrillas of the Kurdistan Free Life Party (PJAK) ..."
This escalation of fighting in the northern Iraqi area comes at the same time the British forces have withdrawn from the southern Iraqi area and are "holed up" at the airport. American forces, meanwhile, just cannot keep insurgents down in the central portion of Iraq, nor can they keep their Green Zone Headquarters secure against mortar attack. Finally, President Bush quietly removed all American carrier groups from the Persian Gulf, after they had been ordered there to threaten Iran with physical attack. These carrier groups entered the Persian Gulf amidst great fanfare and threatening public rhetoric, but they were silently ordered out. Cutting Edge posted a critical important article on this subject, NEWS2225, "U.S. Quietly Pulls All Naval Carrier Groups Out of The Persian Gulf!" All these elements within Iraq add up to a diminishing strength for America in this critical region and in the world at large. Now, let us examine a couple of instances in which Russia is gaining stature in the region and is pushing her diplomatic and/or military agenda to nations who play a prominent role in the End of the Age prophecies. "Russia lately seems to be toughening up its diplomatic posture as it faces heavy pressure from several fronts ... Russian President Vladimir Putin failed to reach consensus with his American counterpart George W. Bush when the latter 'warmly' welcomed him during his US visit early this month. On July 14, Russia announced it had temporarily stopped implementing the Treaty on Conventional Armed Forces in Europe (CFE), citing 'current extraordinary circumstances' as a reason, and stated the country 'needed to maintain its national security'." As if this talk were not tough enough, Russia then unilaterally made two diplomatic decisions, in the face of determined American pressure. 2) "... in his meeting with top Russian military and security services last Wednesday, Putin cited a number of 'global threats' that Russia must be prepared to encounter. The threats include the US pushing forward plans to deploy forces in Eastern Europe and the stalled ratification of CFE in Europe." For the first time since the end of the Cold War, Russian leaders are actively considering Russia's global interests and are actively looking out for "global threats", especially coming from America. 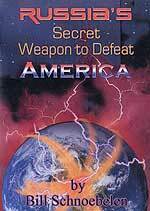 The Cold War shows signs that it is being activated once again, with a much stronger Russia and a much weaker America. In the midst of deteriorating relations between Syria and Israel, Russia plays two tough trump cards. "The declaration earlier this month by Admiral Vladimir Masorin, the commander of the Russian navy, that Moscow intends to re-establish a permanent naval presence in the Mediterranean, is under close scrutiny from Washington to Tel Aviv ... the move carries myriad, challenging implications, ranging from the US Sixth Fleet's regional monopoly on naval power to the security of trans-Caucasian and north African energy supply routes." "But it is the prospect of Russia reactivating its cold war naval bases in Syria, at the ports of Tartus and Latakia, that could have the most dramatic geopolitical impact. By raising Syria's stock in the region, analysts say such a move could further complicate western attempts to achieve settlements in Lebanon and the Palestinian territories. Defensive missile and surveillance systems around any Russian installations might also shift the military balance to Israel's disadvantage." What this last paragraph means is that Russia will have to erect state-of-the-art protective webs above and around its new Syrian ports. During the time of war, Israel might find its aircraft being shot down by these Russian missile systems as they are on their way to bomb Syrian targets. But, Russia has also taken a more direct route to ensuring Syria's survival in the event of war with Israel. "Syria possesses the most crowded antiaircraft system in the world following its continued purchase of Russian weapon systems ... In a bid to respond to the Israel Air Force's supremacy, Damascus has been exerting great efforts in the past few years to improve its ability in terms of ground-to-ground and ground-to-air missiles. According to the military source, as part of these efforts the Syrians have purchased the most advanced ground-to-air missiles from the Russians, considered the cutting edge in aircraft interception technology. Some of these missiles were snatched from the production lines even before being introduced into Russian operation service. Damascus' race to purchase antiaircraft weapons is one of the prominent characteristics in the Syrians' preparations for a possible conflict with Israel." Did you catch that most important statement? Russia has sent Syria brand new missile defense systems, before Russian forces received those systems! That is a heavy-duty commitment from Russia, as she invests in the upcoming war with Israel. If Israel has planes which can penetrate this anti-aircraft missile defense system, their losses will undoubtedly be far greater than they would have been without those systems. Attrition of IDF airplanes is a major concern for Israeli commanders during a war, because Israel possesses so few of them. When you combine this worry with the reality that many Israeli pilots have left the IAF, you have a very troubling situation on your hands! And, Syria, Iran and Russia are taking notice as the balance of power seemingly shifts away from America/Israel to Russia/Syria/Iran. In the next article, we shall examine Russia's commitment to Iran. This is a most sensitive and important subject. 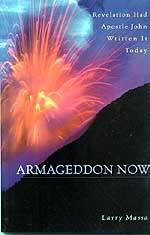 Jesus said Antichrist would come on the world scene through "wars and rumors of wars". Truly, that is occurring today, with the "wars and rumors of wars" occurring in the very region in which God said He would draw all nations into the world -- the Valley of Jehoshaphat, which is the Middle East (Joel 3). God warned that He would draw these armies into the Middle East after He had brought Israel back to her land (Joel 3:1). Listen to His judgment on the plains of the Middle East, and see if it does not coincide with the accumulation of tens of thousands of missiles and hundreds of thousands of soldiers. As you will see in our next article, God has caused the leaders of Russia and Iran to implement huge quantities of the most sophisticated weaponry on earth. God is bringing Joel 3 to fruition, as well as setting the stage for Ezekiel 38-39.